Whether you’re launching a new product or promoting an event, promotional flyers are all you need. You can use them as inserts, promos, or coupons for your campaigns or events. Business flyers are mostly distributed in places with high foot traffic. So it is necessary to print them professionally to make it easier to convey the message you want to send. 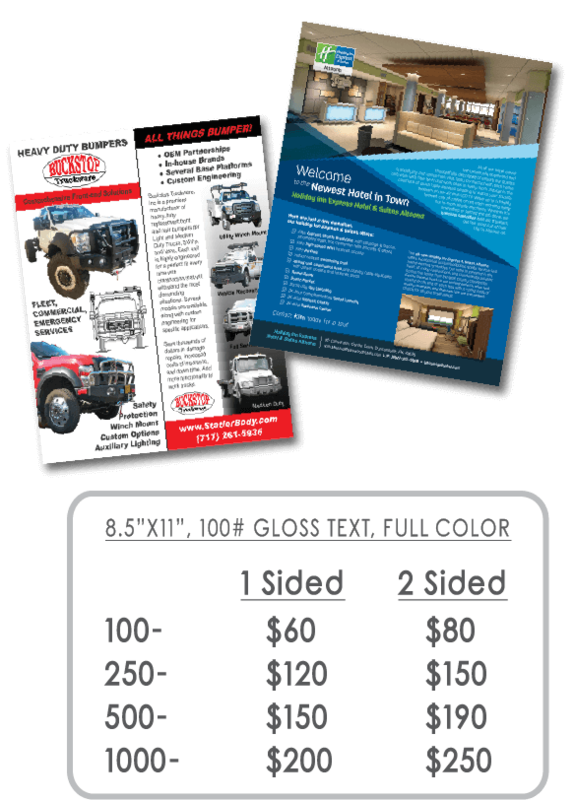 Flyers are full color, one or two sided, sized 8.5” x 11” on a 100# gloss text paper. Inquire about other sizes or paper options. © 2019 Printaway. All rights reserved.